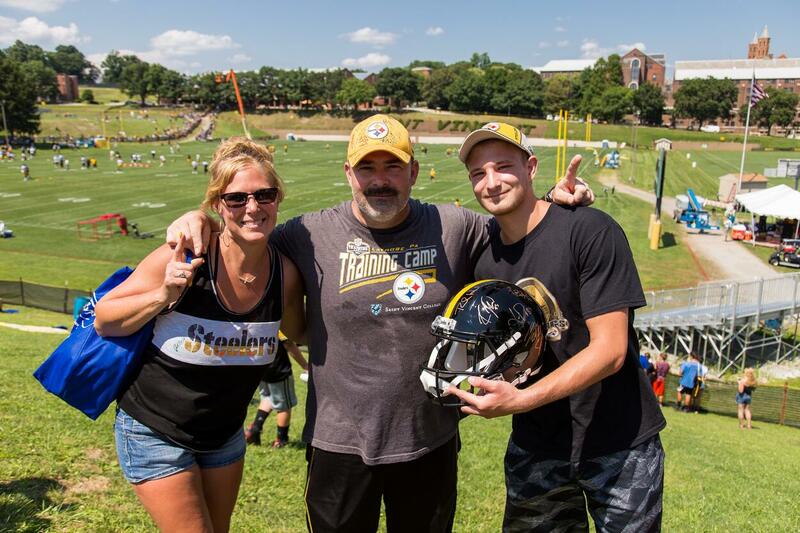 As an SVC employee, this will be my third year working Steelers Training Camp and here are my tips and recommendations of things to do while you're on campus. First and foremost, it might be a good idea to save this map, especially if you're not familiar with our campus. This will help you park, navigate and take full advantage of our facilities. The parking gates open at noon everyday of camp and practice begins at 2:55 p.m. each day. The parking lot is a grass field which is located a few hundred feet from Route 30. 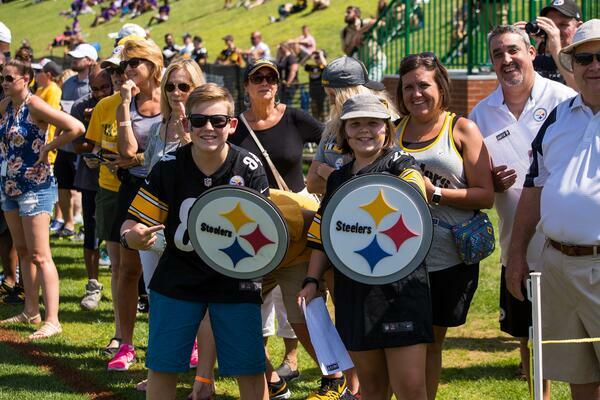 This year, the city of Latrobe will be “booming” the opening weekend of Steelers Camp. 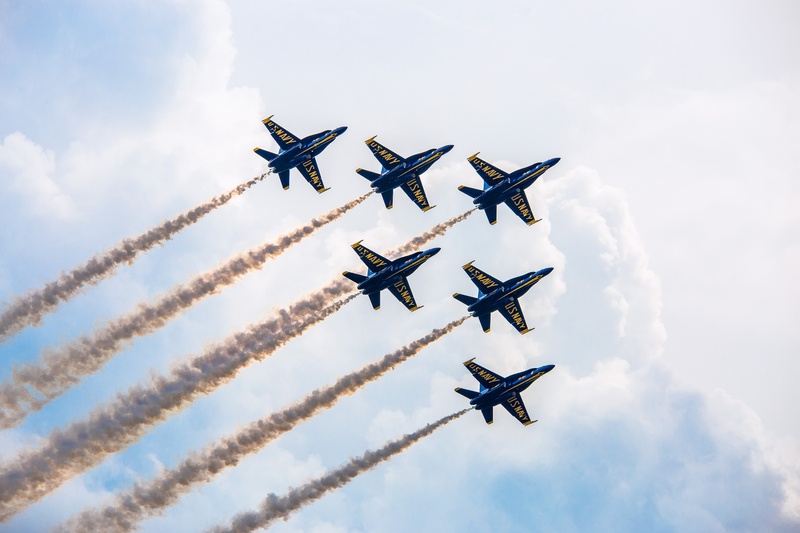 The Westmoreland County Air Show and Steelers Training Camp both fall on July 28-29. If you plan to attend camp and watch the air show, you will need to arrive early due to traffic. The airshow starts at 11 a.m. on Saturday and Sunday. Visit https://www.latrobe-regional-airport.com for more information. Photo: The Blue Angels soar across the sky above Saint Vincent. 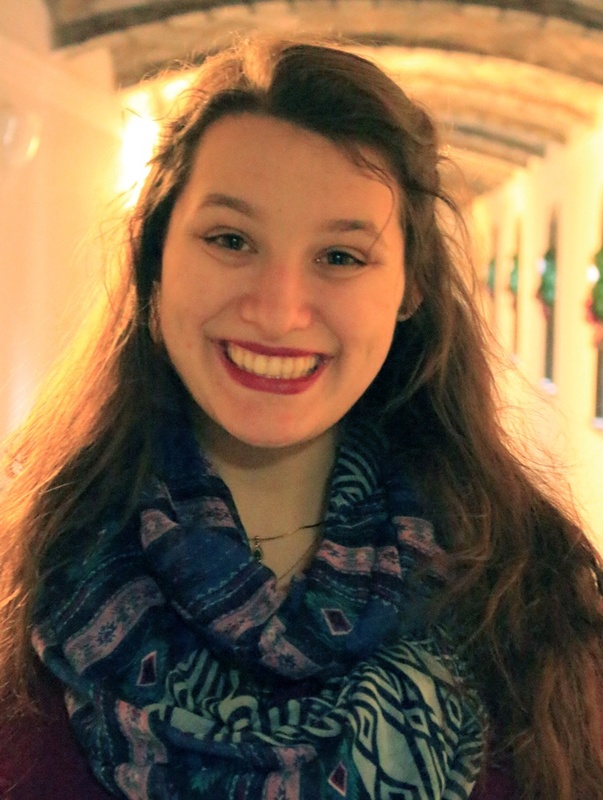 Cool off by taking a tour of campus on the Mister Rogers-inspired Saint Vincent Trolley. The trolley tours start at 11 a.m. and run till 5 p.m. on open camp days. Jump on the trolley at four different stops; Steelers fan entrance; Robert S. Carey Student Center; campus entrance booth; and the Basilica. 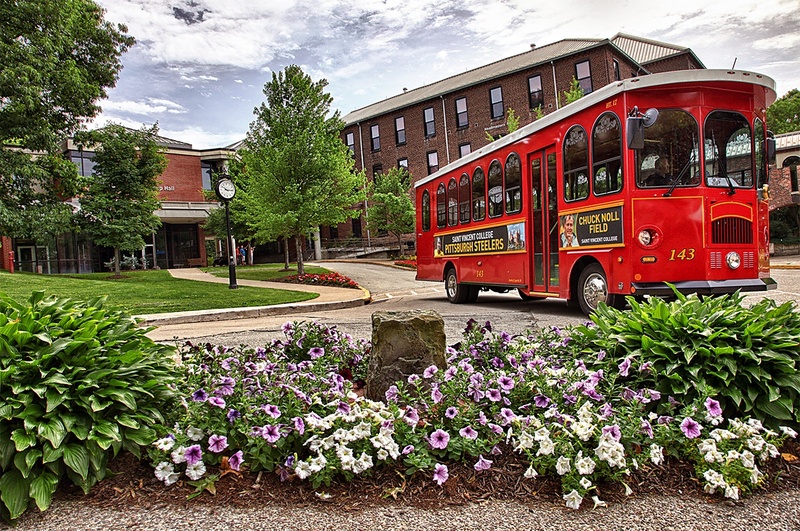 Photo: The Saint Vincent Trolley touring across campus. 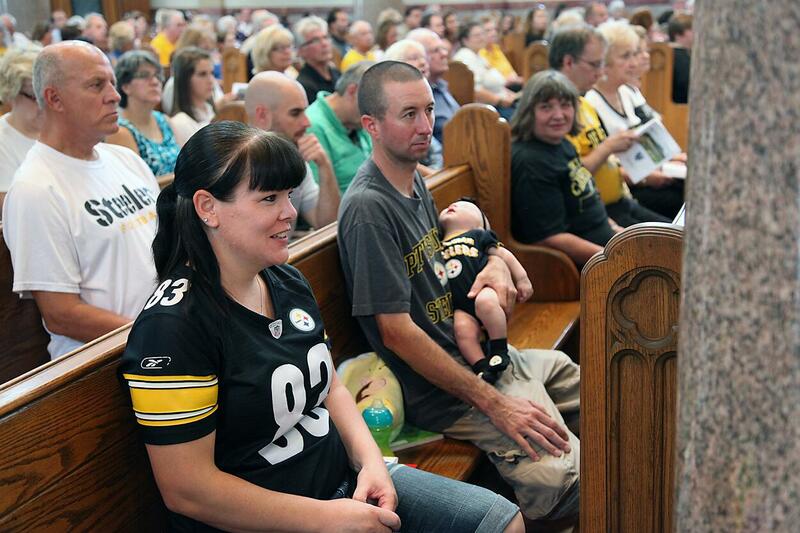 Join us for Steelers Opening Mass on Sunday, July 29, 2018, at 11:30 a.m. in the Saint Vincent Basilica. Guests are invited to wear their Steelers attire and say a prayer for their favorite football team. Photo: Families gather in the Basilica for Mass. 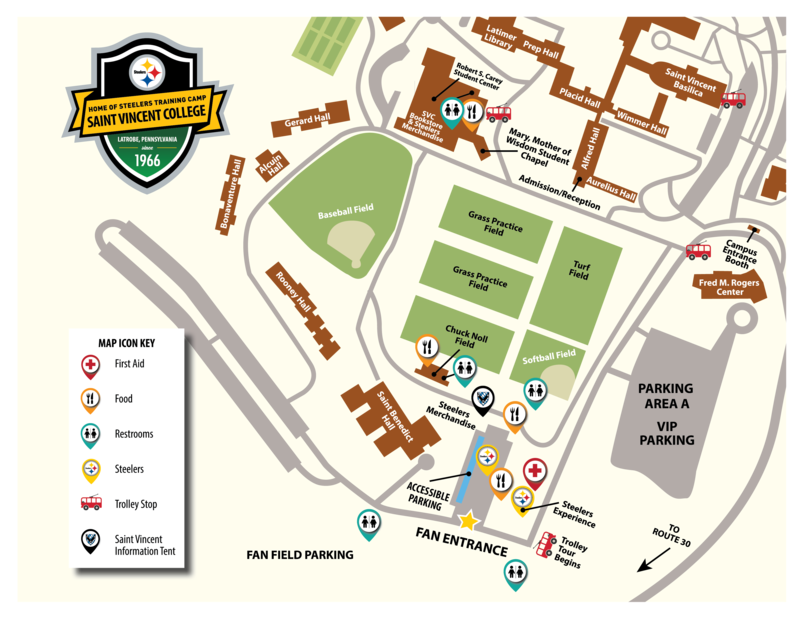 If you or your child is a junior or senior in high school, please stop by our Saint Vincent College tent for your chance to win two field side passes for practice. The raffle winner is announced by calling a cell phone at 2:45 p.m. Please note: Field passes are only good for practices hosted at Saint Vincent. Please, come see us! Photo: A high school junior field pass winner poses for a photo with his family. When you enter camp, you'll walk through the Steelers merchandise tent. Be sure to grab your favorite Steelers gear including training camp T-shirts, Terrible Towels and much more. 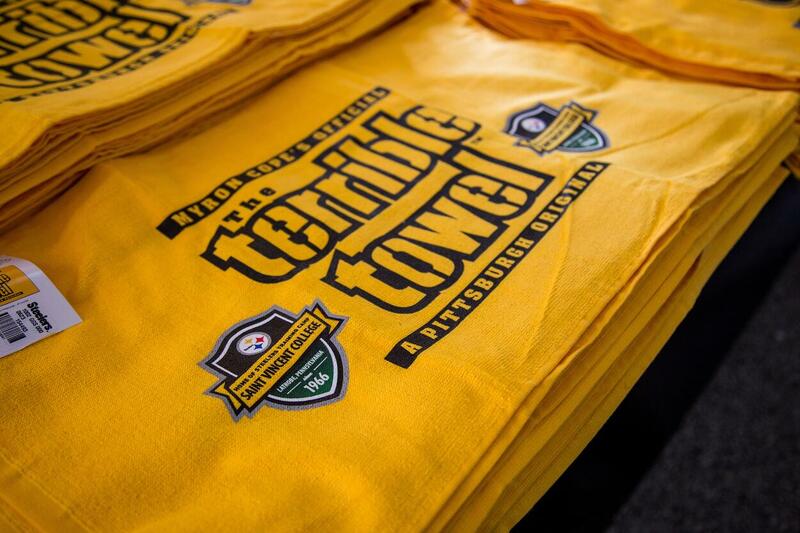 Photo: Saint Vincent College Steelers Training Camp Terrible Towel. Campus doesn't really have any shade around Chuck Noll Field, so when you get too hot, visit the bookstore for air conditioning and some ice cream! Come say hi to Fr. 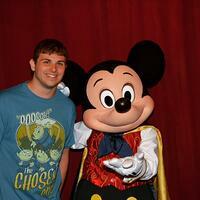 Anthony Grossi, O.S.B., our bookstore manager! 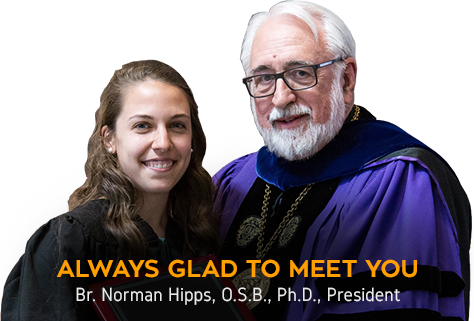 All campus facilities are available to assist our guests. Photo: Fr. 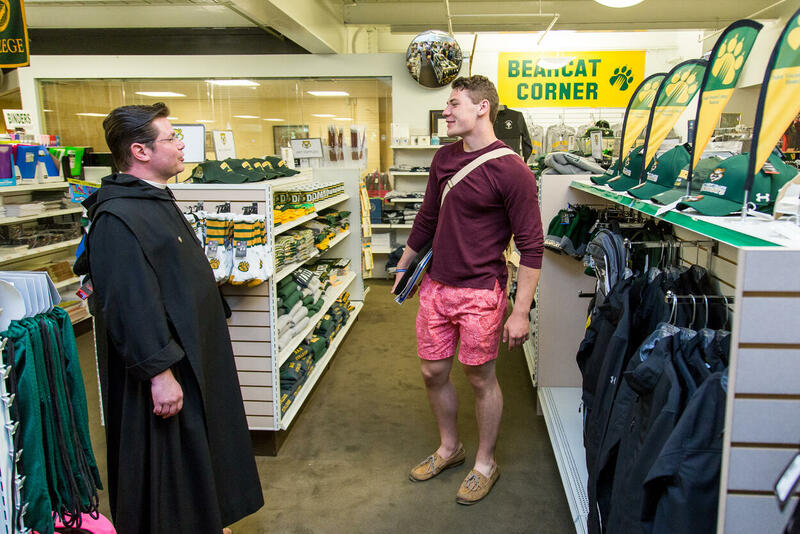 Anthony Grossi, O.S.B., and Thomas Fitzsimmons in the SVC Bookstore. Our campus is filled with many unique and picturesque locations. 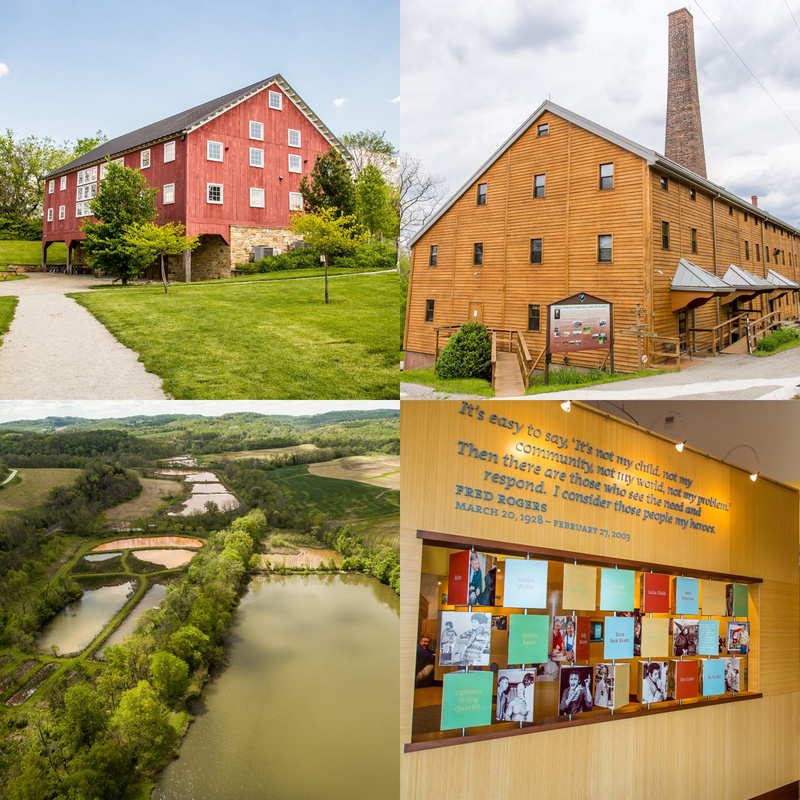 While you're waiting for camp to begin or on your way home, please be sure to visit the Winnie Palmer Nature Reserve, the Basilica, the Saint Vincent Gristmill Wetlands and the Fred Rogers Center exhibit (second floor of the Fred Rogers Center). The cemetery is also a really unique location. Photo: Winnie Palmer Nature Reserve, Saint Vincent Gristmill, Wetlands and Fred Rogers Center Exhibit.